​​ HOUSTON – The Class A apartment project named Avenue Grove, which opened in late 2016, is nearing completion. Currently, the top floor of the eight-story, 270-unit apartment building, is being finished out. The apartment project sits on a little more than two acres between Richmond Ave. and US 59 in Upper Kirby. Rents start from $1,650 per month for a one-bedroom unit spanning 623 sf to nearly $4,000 per month for a two-bedroom brownstone spanning 1,135 sf. 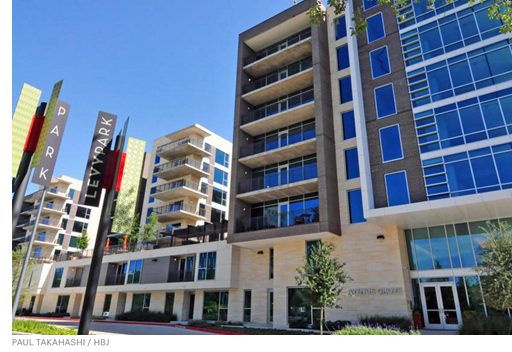 ​Check ​out Houston Multifamily Market Research, Dallas-Fort Worth Multifamily, and Austin Multifamily​.